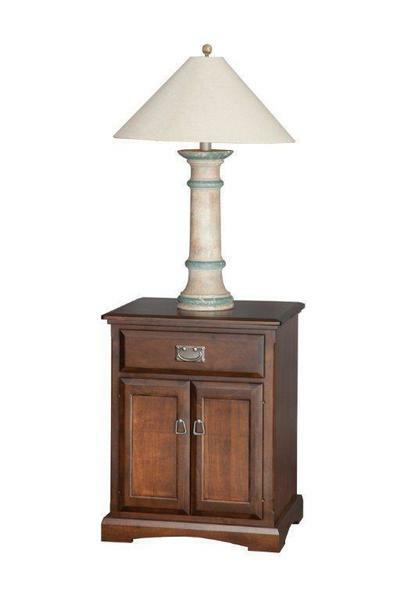 Add beauty and decor to your bedside with our handmade Amish 22" Night Stand with Doors. This nightstand in solid wood has one dovetailed drawer and two doors that open up to additional storage for your convenience. The spacious drawer is standard with full extension side mount drawer slides ensuring easy access to your flashlight, books, magazines and other items! Call us today at 866-272-6773 if you have any questions or if you would like to customize this nightstand in any way.